Late last year, a Seattle newspaper petitioned the court to unseal dockets related to electronic surveillance by law enforcement. The position was clear: the First Amendment provides citizens with a right to information, hence the presumption of openness that's supposed to govern court proceedings. The government has long argued the need to protect law enforcement means and methods outweigh the public's right to know, and has secured a lot of compliance from judges at all levels of the court system. In recent years -- no doubt at least partially as a result of the Snowden leaks -- courts have begun pushing back. Warrant affidavits are receiving more scrutiny from some judges and litigation has resulted in courts agreeing to unseal large numbers of proceedings involving law enforcement surveillance tech. The Seattle case deals with the same concern: law enforcement is increasingly deploying secretive tech and locking the public out of the discussion by sealing documents and dockets. The good news is the federal court presiding over the case agrees with the EFF and The Stranger, the Seattle publication that put the litigation in motion. In response to The Stranger’s petition, the United States Attorney’s Office for Western District of Washington and the Clerk of the Court have launched a new pilot program for tracking these surveillance tools. The court is now collecting data each time one of these surveillance tools is used and will publish that data in semi-annual reports. These reports will include the case numbers and the principle crime being investigated every time the government asks to use one of these surveillance methods, giving the public in Seattle an unprecedented understanding of how investigators spy on Americans. This isn't as broad as the unsealing ordered by the court following a lawsuit by Jason Leopold, but it's a start. It appears filings will still remain under seal, but at least the public will have some idea how often surveillance tech is deployed by local law enforcement as well as what case numbers to target in future First Amendment-based litigation. The first report won't be available until 2020 and, unfortunately, won't be retroactive. It will only affect cases brought from 2019 forward. It also will remain in operation at the US Attorney's discretion, which means it could be shut down anytime after its two-year trial run. But we'll take what we can get for now and hope the US Attorney sees the value of partial transparency, rather than just the limited downsides law enforcement will likely complain about repeatedly. It's a big win for The Stranger, which has been instrumental in exposing legally-dubious surveillance programs rolled out by the Seattle Police Department. In 2013, Brendan Kiley and Matt Fikse-Verkerk’s reported on a then-secret wireless spying network that the Seattle Police Department (SPD) had installed in downtown Seattle. Six days after the story was published the department deactivated the network. In 2016, Ansel Herz uncovered a secret, and illegal, SPD software program that lets them snoop on people’s social media feeds. This is the sort of thing that happens when the public is locked out of the conversation, whether it's by city government officials failing to fulfill their oversight duties or judges obliging law enforcement every time they ask for public courtroom filings to be taken out of the public's hands. Less transparency equals less accountability, and the government has repeatedly shown it will exploit holes in public knowledge to engage in shady surveillance tactics. In the wake of the FCC's net neutrality repeal, nearly half of the states in the union are now in the process of passing new net neutrality rules. Some states are pushing for legislation that mirrors the discarded FCC rules, while others (including Montana) have signed executive orders banning states from doing business with ISPs that engage in anti-competitive net neutrality violations. Of course incumbent ISPs saw this coming, which is why giant ISPs like Verizon and Comcast successfully lobbied the FCC to include language in its repeal that tries to preempt state authority over ISPs entirely. But this effort to ban states from protecting consumers (not just from net neutrality violations) rests on untested legal ground, which is why some ISPs are also pushing for fake net neutrality laws they hope will preempt these state efforts. “Bring it on. If the president sues us, we’ll be ready." "At the state level, we’re still, to some extent, a functioning democracy and if you get a broad bipartisan coalition around standing up for a free and open internet, as it turns out, you can actually get that written into state law,” Hansen said." "An agency that has no power to regulate has no power to preempt the states, according to case law,” Stanford Law professor Barbara van Schewick said. “When the FCC repealed the 2015 Open Internet Order, it said it had no power to regulate broadband internet access providers,” van Schewick said. “That means the FCC cannot prevent the states from adopting net neutrality protections because the FCC’s repeal order removed its authority to adopt such protections." At best, lawyers believe the DOJ's lawsuit against California will only delay the state's law until the courts settle the looming, separate lawsuit against the FCC by 21 state AGs. So even if the broadband industry and FCC win that case, the attempt at state preemption isn't likely to stand. Even if it does, the broadband industry also has to find a way to prevent any future Congress and FCC from just passing tough rules again, which is why the industry is having their most loyal political allies (like Tennessee's Marsha Blackburn) push bogus net neutrality laws they write with a specific aim at crushing tougher state or federal efforts. But even in the deepest swamps of DC a majority of politicians aren't dumb enough to sign off on such incredibly unpopular legislation, a sentiment that's only likely to grow after the midterms. Meanwhile, as ISPs (and the politicians paid to love them) continue to whine about the state effort to craft "discordant and fractured" state level laws, remember that none of this would be happening if those same politicians hadn't dismantled popular, modest, federal level net neutrality (and privacy) rules at the behest of giant, widely-despised telecom monopolies. Once you release a document to a public records requesters, it's a public record, whether you meant to release it or not. The person handling FOIA requests for the Washington State Fusion Center (a DHS/local law enforcement collaboration known more for its failures than successes) sent Curtis Waltman something unexpected back in April. Waltman asked the Fusion Center for records pertaining to Antifa and white supremacy groups. He did get those records. But he also got something titled "EM effects on human body.zip." 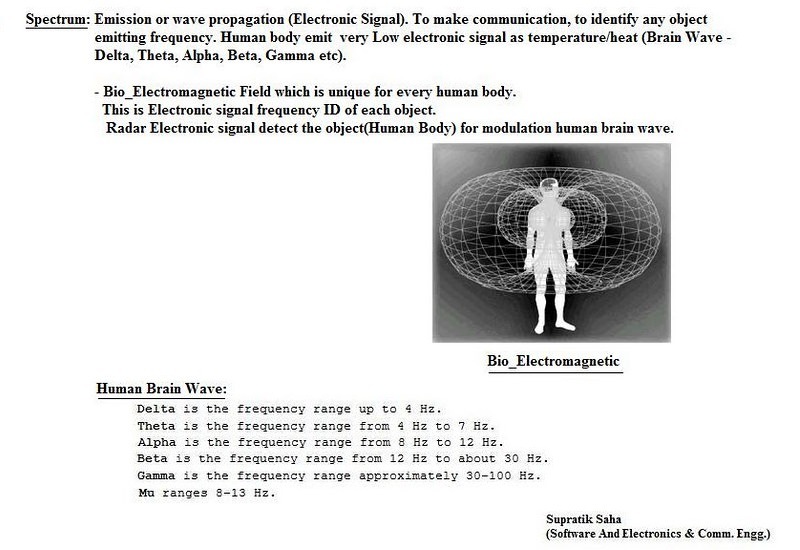 The files did not appear to have been generated by any government agency, but rather collected from other sources who thought there might be some way the government could control minds using electronic stimulation or "remote brain mapping." 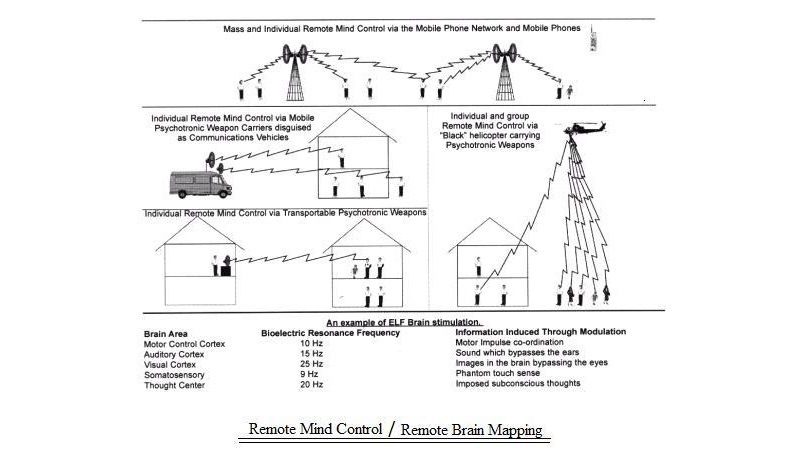 Why the Fusion Center had them on hand remains a mystery, as does their attachment to a FOIA request containing nothing about electronic mind manipulation. This inadvertent disclosure has led to more requests for the same documents. Only this time, requesters -- like Joshua Eaton of ThinkProgress -- are asking specifically for government mind control files. It appears the Fusion Center first thought about withholding some mind control docs, but somewhere along the line decided it couldn't pretend the documents that weren't supposed to be released hadn't actually been released. An email chain in the release [PDF] to Eaton contains an apology from the staffer who accidentally sent Waltman the mind control files. Gretchen (the Public Records Officer for the Washington State Police) tells the staffer not to worry about it. Apparently, sending the wrong files to requesters happens frequently, but otherwise, everyone is doing a great job, including the person who sent mind control files with a batch of extremist docs. But that apology and forgiveness is preceded by the same staffer asking for another review of documents she already released to another requester, possibly in hopes of denying this release. [redacted] told me if you could review this. Mudrock is claiming that DHS did created this. I think I was not supposed to release this but it was public. Can you help me what can I tell my Public Disclosure coordinator? No response from Erik is included in the document so one assumes the release went ahead without his additional input. Now this requester has a copy of this email chain, something pulled from an internet "mind control forum," and, inexplicably, the KKK documents released to Waltman in response to his FOIA request. So, if you're looking to obtain public records but don't particularly care what records you receive, it appears the Washington State Fusion Center is a great place to try your luck. In the wake of the FCC's net neutrality repeal, nearly half the states in the union are now in the process of passing new net neutrality rules. Some states are pushing for legislation that mirrors the discarded FCC rules, while others (including Montana) have signed executive orders banning states from doing business with ISPs that engage in anti-competitive net neutrality violations. Of course incumbent ISPs saw this coming, which is why both Verizon and Comcast successfully lobbied the FCC to include language in its repeal that tries to "preempt" state authority over ISPs entirely. But this effort to ban states from protecting consumers (not just from net neutrality violations) rests on untested legal ground, which is why some ISPs are also pushing for fake net neutrality laws they hope will preempt these state efforts. So far, states aren't taking the FCC's threats very seriously. Washington State for example became the first state in the union this week to pass net neutrality legislation (though Oregon is neck and neck). Washington's new law largely mirrors the discarded FCC rules by prohibiting the anti-competitive throttling and blocking of competitors, as well as "paid prioritization" deals that prevent ISPs from letting deep-pocketed content companies buy an unfair advantage over smaller companies and startups. Also like the FCC's rules, it carves out notable exemptions for "reasonable network management" -- as well as for the prioritization of legitimate services that may need it (medical, VoIP services). "Just because the FCC claims it has the power to preempt state laws doesn’t mean that it actually does,” says (Drew) Hansen. “I can claim that I have the power to manifest unicorns on the Washington State Capitol lawn. But if you look outside right now, there are no unicorns." ISPs have already started complaining that complying with an ocean of discordant state-level rules is hard on them, though that's something they might have wanted to give a little more thought to before lobbying to dismantle what were arguably (by international standards) pretty modest federal-level rules. Note that's not to say state-level protections will be perfect. Many politicians are just trying to score political brownie points, and in many instances the rules will only be as good as those willing to actually enforce them. Several of them also are a little shaky on how they define "reasonable" network management, a term ISP lobbyists have a long, proud history of trying to redefine to include pretty much anything. Still, these are all problems that could easily been avoided by actually listening to the public, the experts, and the data and leaving the federal rules alone. At some point in the recent past, Motel 6 owners decided they were deputized law enforcement personnel. So what if people paid for a night's worth of uninterrupted sleep and expected that visits from federal and local officials would be kept to a minimum. These owners -- which the Motel 6 corporation takes great pain to point out are "independent" owner/operators -- have decided to ingratiate themselves with untrustworthy organizations like ICE… or the local PD. Some Motel 6s decided to fax guest lists to police departments every night. Others decided they'd turn over every name that looked slightly non-Caucasian to ICE. In both cases, Motel 6 (the corporation) brought the hammer down, swearing it had never given franchisees the permission to turn guest lists into tip sheets for law enforcement. The post-facto corporate rollback wasn't enough for Washington's Attorney General. The state looked into local policies after hearing about rogue ICE relationships in Arizona. It found more of the same occurring in Washington, resulting in a state lawsuit against company for turning guests list into ICE fodder. The lawsuit [PDF] requests an injunction preventing Motel 6 employees from passing on information to ICE agents without being provided with at least some legal reason to do (probable cause) by government agents. If this were filed at a federal level, it wouldn't likely find a sympathetic court. A Supreme Court decision overturning a Los Angeles statute granting law enforcement constant, unchallengeable access is about the only restriction on sharing guest lists with law enforcement. The allegations the Washington AG raises are concerning, but they're not actually illegal... at least not under federal law. Since at least 2015, Motel 6 has had a policy or practice of providing to ICE agents, upon their request, the list of guests staying at Motel 6 the day of the agents' visit. The guest lists included some or all of the following information for each guest: room number, name, names of additional guests, guest identification number, date of birth, driver's license number, and license plate number. ICE's usual practice was to come to Motel 6's reception desk and request the guest list from the receptionist. The receptionist would print out the guest list and give it to the ICE agent, along with a "law enforcement acknowledgment form" for the agent to sign, acknowledging receipt of the guest list. The ICE agent would review the guest list and identify individuals of interest to ICE. Motel 6 staff observed ICE identify guests of interest to ICE, including by circling guests with Latino-sounding names. Motel 6 trained its new employees to follow the practice described above to provide guest lists to ICE agents upon request, without requiring the agents to show any reasonable suspicion, probable cause, or search warrant for the guest registry information. However, at the state level, this appears to be a violation of local statutes. Under Article 1, § 7 of the Washington Constitution, motel guest registry information constitutes a private affair protected from disclosure without probable cause. Motel 6 guests in Washington have a reasonable expectation of privacy that their guest registry information will not be disclosed to ICE without probable cause. Motel 6 guests in Washington also have a common law right to the privacy of their guest registry information. This is where the State AG hopes to prevent Motel 6 from using guest lists for ICE bait: at the state level where guest registry info is given more privacy protections than other places in the nation. It seems like ICE shouldn't be too put out by having to show a little probable cause paperwork before it starts browsing registries, but the government doesn't roll like that. It would be pretty easy for Motel 6 to get out from under this lawsuit. All it has to do is tell Washington franchisees to knock it off. It's unclear what benefit Motel 6 receives from this possibly-illegal relationship with ICE. So why not just institute a policy that actually complies with local laws? It certainly won't make ICE happy. No federal agency likes having to ask permission from judges to perform searches. ICE is not a party to this lawsuit, but I'm sure it will find some way to make its presence felt. It may argue the Fourth Amendment does not require warrants to access third party records. Hopefully, the court presiding over this will remind ICE (and Motel 6) state laws can provide more protection than the Fourth Amendment without damaging federal authority. The Fourth Amendment is the baseline. Everything else above that -- established at the local level -- is a completely legal bonus for the state's residents.